IMCO is the first private company to invest in a cocoa fermentation plant in Mexico in order to produce PREMIUM QUALITY, fine flavored beans. Hereafter, we resume our strict quality control procedures, how we control the origin of the cacao beans and we enumerate some other advantages generated by the “Santa Helena Fermentation Plant”. The fermentation plant “Santa Helena” is located in the Olmec and Maya region known as “Plan Chontalpa”, close to the pyramids of Comalcalco and La Venta in the State of Tabasco and nearby the archeological site of Palenque in the State of Chiapas (see map). The Mayas called the cocoa tree “KA-KAW”, referring to fire “kakh” and water “haa”. 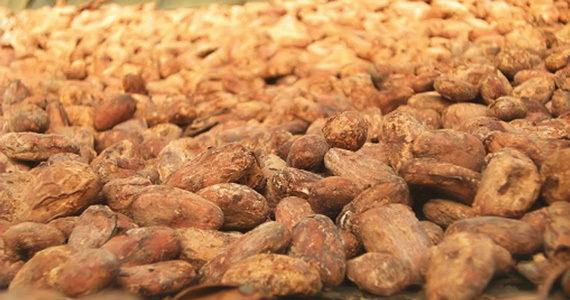 In the opinion of the analyst Dávila Garibi the word “chocolate” comes from “chocui” (Mayan for warm) and “cacao” (“dab” means juice and “kau” means bitter): a hot and bitter drink. Their god of cocoa was called “Ek Chuah”. Through the ancient Mexican cultures cocoa was introduced worldwide. IMCO’s presence in the crop area increases the quality of our cocoa beans, as we reduce time of transportation and we receive the freshly cut beans immediately at our fermentation plant. IMCO permanently remains in close contact with the producers, in order to follow up the harvest from the start of the crop. Consequently, over-fermentation and germination are avoided. Wooden boxes are proven to be the best way for fermenting and temperature monitoring of the cocoa beans. Only IMCO uses new sun drying tunnels that dry cocoa beans in a naturally way, through sun heat, and not artificially with gas as commonly used by other companies. This sun drying process takes about 4 to 5 days and improves the cocoa flavor, eliminating the gross of its acidity.Inside of these sun drying tunnels, the layers of cocoa beans are maximum two and a half centimeters high and are manually moved every hour, to prevent molding. IMCO applies strict hygiene rules, covering up all sun drying tunnels in order to avoid any contact with animals or foreign materials (e.g. dust, leaves,…), which is common for open air drying. After drying, the cocoa beans pass sensorial, cut, weight and humidity tests to assure the best and most homogeneous quality. In “Santa Helena Fermentation Plant” we created direct jobs, furthermore we draw government funds to increase productivity and we also started a program through which we help producers combat Moniliasis. Finally, through our fair prices we help producers increase their quality of life.